Dolphin Emulator Apk : Every Nintendo fan loves to play Wii, Gamecube, or Triforce games on their Android smartphones. So in order to play those games, you can certainly download and install Dolphin Emulator application on your android smartphone, tablet, or phablets. The Dolphin emulator android app will emulate these three consoles games so you can play them straight on your android devices. ► Dolphin emulator works by scanning the directories you’ve previously added to load Roms. As game files are loaded, then you can choose the game you want to play. How the emulation can successfully work may depend on your phone specification. Using the emulator is the only way you can have the video game on your mobile device screen. 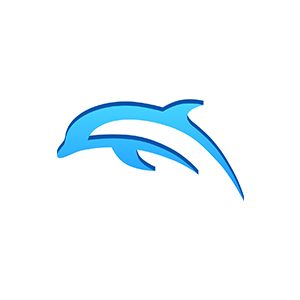 ► Dolphin is an independent open-source project involving more than 200 people for its development. The project was started in 2003 and has brought the consoles games to the desktop for 15 years. ► Dolphin Emulator name is already familiar for users of Linux, Windows, and MacOS. It has performed a wonderful job of game emulation for the desktop version. On the other hand Dolphin Emulator, android app is in development stage so you would certainly find some bugs while using this app. However, Dolphin Emulator android app is one of the most reliable emulator application so far. It’s the best way to play console games on your android device. ► Basically, Dolphin emulator Android app supports these following formats: ISO, GCM, DOL, WBFS, DFF, EFF, and so forth. Most of the console games have high requirements which may generate some difficulties and problems in configuration. It should be noted that Dolphin is not a project related to these video game companies. There is no such “help” you can find in the menu. ► However, the developers of Dolphin emulator android app are very helpful, if in case you find any problems with the installation or while playing the game. They will help you to manage the configuration which may differ for each video games and even for the Android devices you’re using to play the game. ► Dolphin doesn’t support the piracy, there is no way you can get the game files from other resources. You can only emulate the console games that you’ve bought legally for your devices. Ensure that your Android device running Android 4.0 at a minimum. You need to active the unknown source to install the APP files of Dolphin Emulator android app. Once it’s installed, you can start playing console games you’ve bought right on your android smartphone or tablet.